About 16 million people in the Philippines, according to published report, still do not have access to electricity, forming part of the 130 million in Southeast Asia who still live in the dark. Indeed when we talk about poverty, most are focused solely on financial poverty but staggering numbers show that it is also in the barest necessity like electricity that people continue to be deprived of. Having identified such an issue, the pressing question lies in how are we solving it? 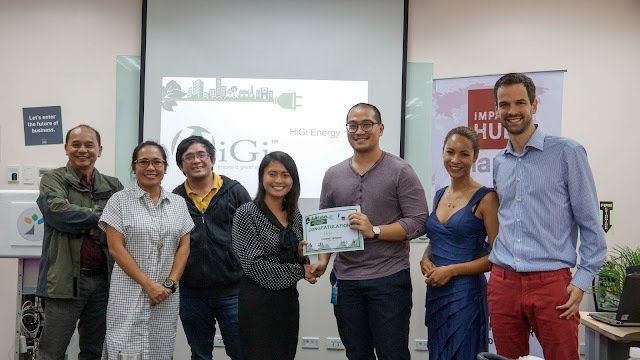 With a growing interest in battling climate change, it has been imperative for many impact-minded organizations to stand together to do its share in promoting energy entrepreneurship. 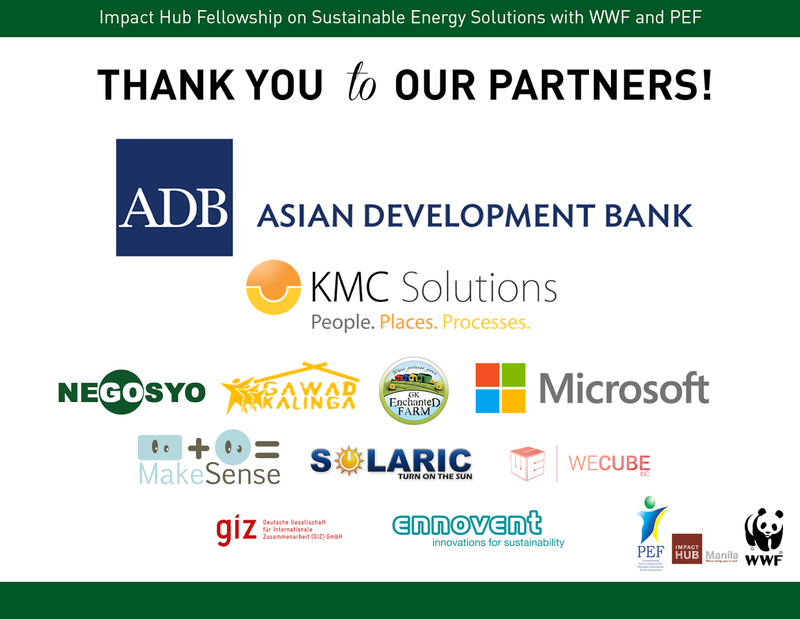 With the aligned vision to educate, encourage and empower energy entrepreneurship in the country, Impact Hub Manila, World Wide Fund for Nature Philippines (WWF-Philippines) and Peace and Equity Foundation (PEF) have collaborated to search for ideas on sustainable energy solutions through the the Impact Hub Fellowship Program on Sustainable Energy Solutions. After an application period of 5 weeks, 16 teams were pre-selected by the experts from Impact Hub Manila, PEF and WWF through a gruelling deliberation on July 28, 2016. 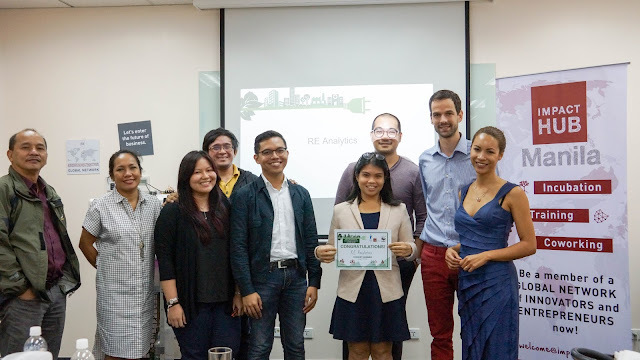 The chosen entreprenuers were then given the opportunity to pitch before a jury panel. These judges awarded the 6 to 8 teams and gave them the opportunity to be part of the Cohort Phase. 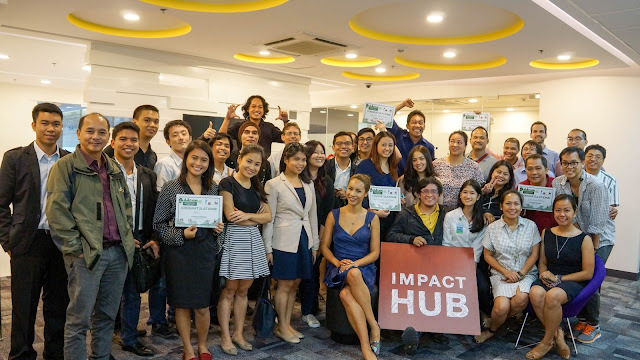 ● Mathias Jaeggi, co-Founder of Impact Hub Manila. With the teams now proceeding to the Cohort Stage, we look forward to their outputs for the Fellowship,” said first Mobility Fellowship winner Matthew Cua. The Pitch Day, held on August 6, 2016 at one of Impact Hub Manila’s newest locations in KMC Solutions, Uptown Tower, BGC, brought together some of the most innovative ideas on energy. 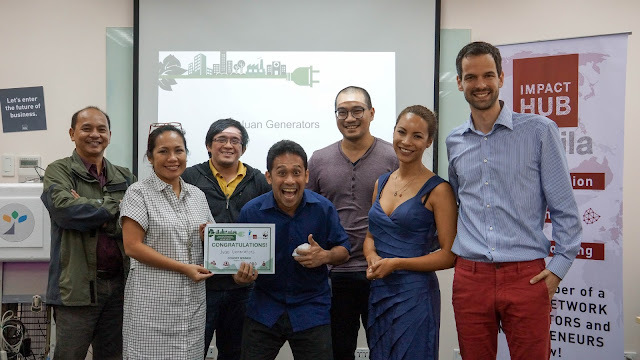 Since the launch on June 16, 2016, the dynamic people behind PEF, WWF and Impact Hub Manila pulled no stops just to find the best entrepreneurial idea in energy. Through this period, various workshops were conducted to help the entrepreneurs build on their ideas, fine tune their presentations and hone their pitching skills. In an effort to optimize their time of search, they activated the crowdsourcing platform called crowdicity.com to best encourage the entrepreneurs to submit and showcase their ideas. The focus of the search was on renewable energy; energy efficiency, access to energy and off­grid solutions, energy systems plus energy consumption reduction. In the end, over 50 ideas and business entrepreneurs applied. 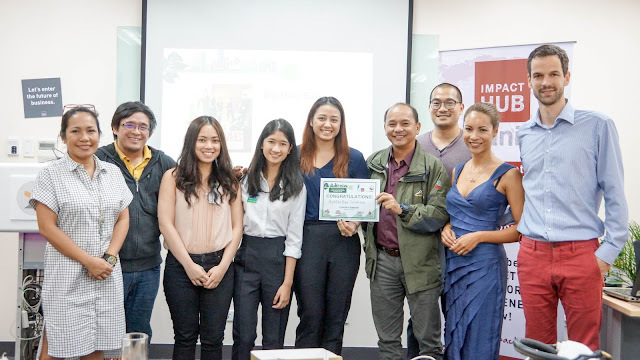 The winning teams who will advance to the Cohort stage will undergo an intensive bootcamp, called Kick Program, organized by Impact Hub Manila, PEF and WWF-Philippines, with partners such as the Asian Development Bank. The training will include topics on business model canvas, customer discovery and targeting, business strategy and lean methodology with a day-by-day schedule, daily exercises, and a full online/flipped educational course access. “Through the Cohort stage, the teams will be guided on building the business aspect of their enterprise and at the same time this allows us to determine which teams deserve the seed funding the most,” said Mr. Robert Calingo, Executive Director of the Peace & Equity Foundation. 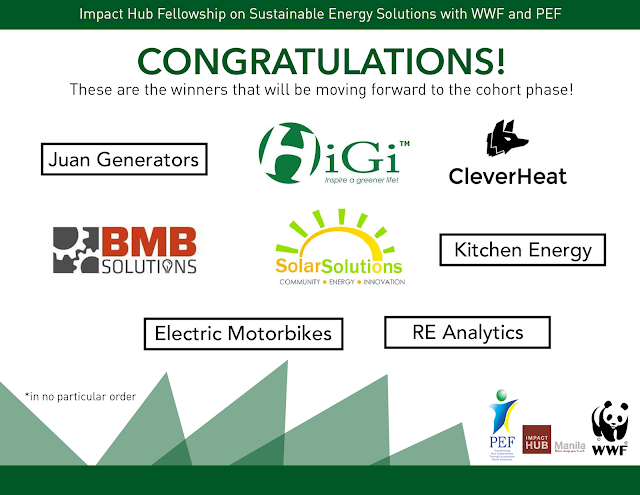 The teams will have the chance to win more than ₱​2.5 million worth of fellowship prizes including the business training in the Cohort stage . The rest includes ₱1.5 million seed funding, other forms of training, mentorship, access to Impact Hub Manila’s flexible work spaces and valuable network. 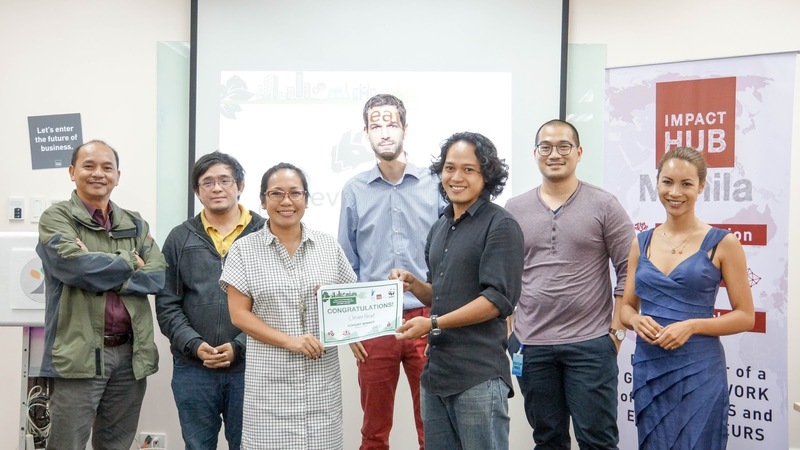 ○ The team aims to provide heat-driven refrigeration and air-conditioning system in order to significantly reduce costs by cutting electric consumption. ○ The team converts water hyacinth and agricultural waste into cooking energy like briquettes for low-income communities. ○ RE Analytics provides highly accurate energy forecasts through machine learning and superior climate analytics. Through this, RE Analytics envisions renewable energy integration in the Philippines and Southeast Asia. ○ The team provides solar energy station or facility focused on empowering local communities by providing them lighting, water purification, mobile charging and refrigeration systems. ○ This startup makes kinetic wind sculptures that produce electricity. The teams believes that by combining art and energy production through renewable energy, it will help communities generate their own electricity. ○ The team provides a home biogas systems to be used to decompose kitchen wastes to provide energy for cooking and fertilizers as by-product. ○ The team provides bicycles that convert the rotatory motion to electrical energy in a multitude of uses as a shredder, food processor, washing machine, and spinning wheel. 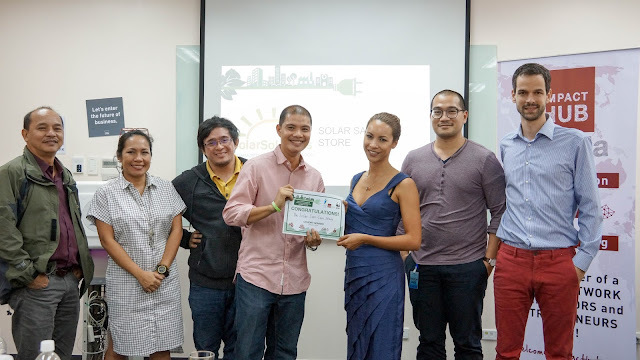 It aims to help low-income families be empowered by earning an income and help the environment. ○ The team offers an logistical solution for deliveries by use of electric motorcycles and a battery swapping station at key location points convenient when making a delivery. 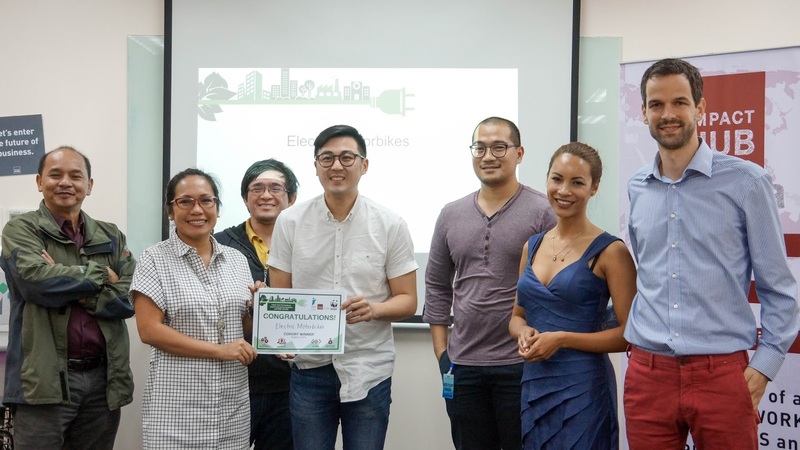 The other 8 teams that didn’t made the cut are Sustainable Alternative Lighting (SALt), Electric Jeepney by Solaric, 3D PrintEarth, Educating Engineers by E2T2 Corporation, iSense, Gaia Dam by Aviscus Corporation, Martian Farming for Dummies by Techaguru, and Solar Nett. The Cohort winners will have their first business session on August 23, 2016 from 6:30 to 9:00 PM which will also be attended by the media. A rigorous training for 6 weeks await the teams that aims to further refine their business models, preparing them for the final pitching day where 2 to 3 ideas will be awarded as the Impact Hub Fellows. 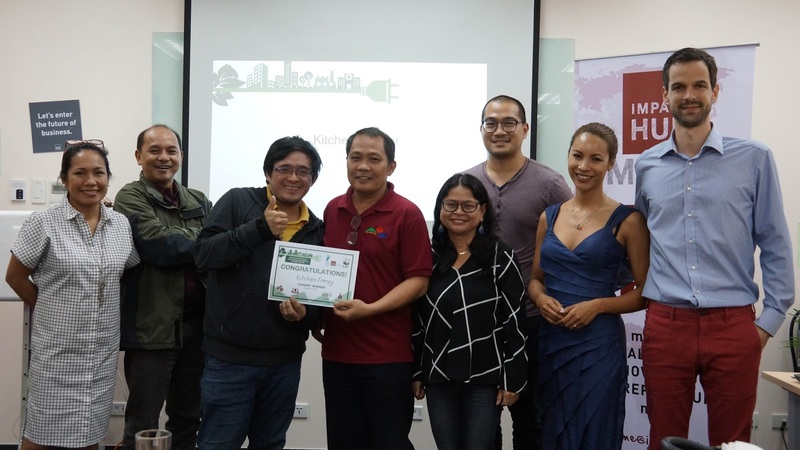 Set on October 6, 2016, the Final Pitch Day will propel the winners to even greater stakes as they go through the Incubation Phase from November 2016 to April 2017. During this phase, the Fellows will undergo further training to make sure they are investment and scaling ready. Have You Tried the Hacks for Pokemon Go?